The darkness in Malva’s paintings coincides with the darkest side of the world. The sum of his paintings whsipers us a silent scream. The formula of Gilles Deleuze who argues that there is no horror element in Francis Bacon’s portrayal of the screaming Pope and that is the reason why the horror in its neutral state increases significantly, is true for Malva’s paintings as well. Horror doesn’t scream in his paintings. 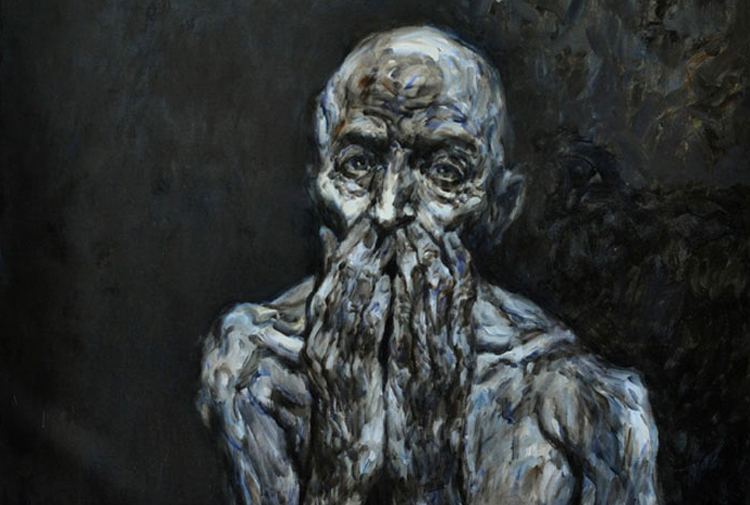 The painter does not wish to scream the horror; a shrunk body, bones ready to stick out from skin, a hand covering a face or deep face lines… In dark paintings there is a serenity hiding the horror. Widely known contradiction of duality is disrupted in his paintings. Horror and scream are not the opposite of peace and serenity but complement each other. Isn’t it the same for life itself? Kurdish painter Omer Hamdi, known as “Malva”, was born in 1951 in the village of Til Naif in the city of Hesekê, Syria. For the artist, who lived in the villages of Til Naif and Um Hamde in his childhood, his father became the biggest contradiction in his life. Starting to draw portraits from the moment he started attending elementary school, his father’s trace is visible in Malva’s first painting. “For Malva, who was desperately right beside his mother who was constantly exposed to violence, childhood was pain, lament and sorrow”, wrote Hanan Osman, a poet from Hesekê too, who described the life of the artist in his book called “Malva”. The sorrow of Malva became the core of his art. When his teacher discovered his talent for painting, he asked for the story behind his paintings full of sorrow, however Malva couldn’t put it into words as he could only draw and reflect the violence his mother was subjected to in his paintings. For instance, he portrayed his mother, exposed to violence by his father, baking bread with her broken arm. He later attended a competition in the academy and his work attracted a lot of attention. One day, the Orthodox church in the city asked Omer to portray the sacred figures. But the church priest didn’t like the paintings, so he burned them all. Burning paintings turned into a ritual in some periods of Malva’s life. He burned his paintings or threw them into a well from time to time. Hesekê Governer requesting Malva to portray Che Guevara on a wooden background became the constituent event of the story behind his name. 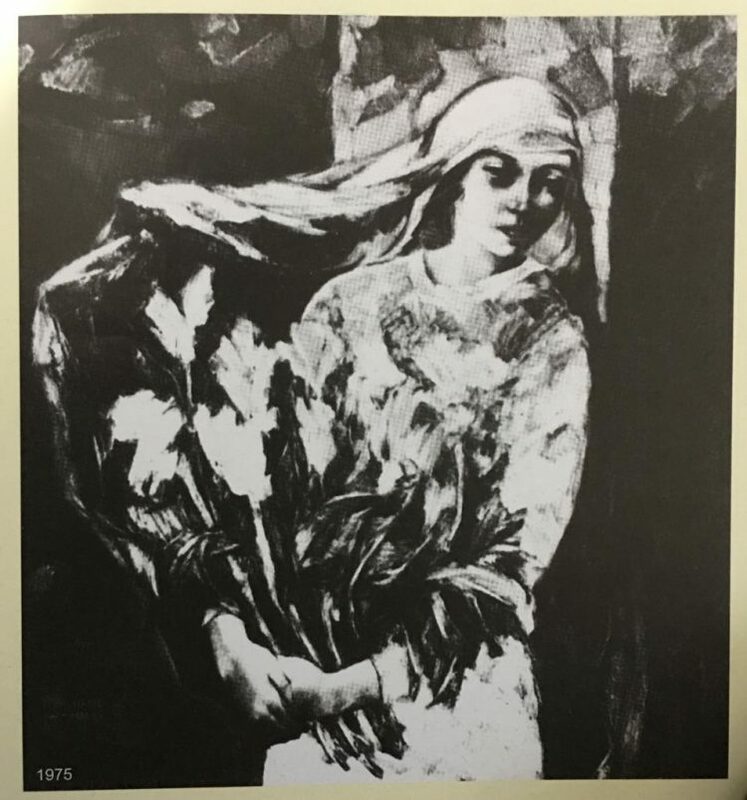 The picture he drew was liked by many and then Maxim Gorky’s book called “Mother” was presented as a gift to Malva. Fascinated by the book, he found solace in books. He read “Mother Earth”, a story by Anton Chekhov and chose the name of the flower in the book, Malva, as his name. There were two reasons for him to choose this name: The love story of this flower called “Xiro” in Kurdish and his desire to hide his paintings from his father. As his story reveals, the reason of violence central to his paintings comes from both inside and outside; it reaches from home to universal, the horror at home extends into the darkness of the State and it is reflected in the canvas as war, destruction and death. After finishing the school, Malva applied for teaching but he did not get accepted. 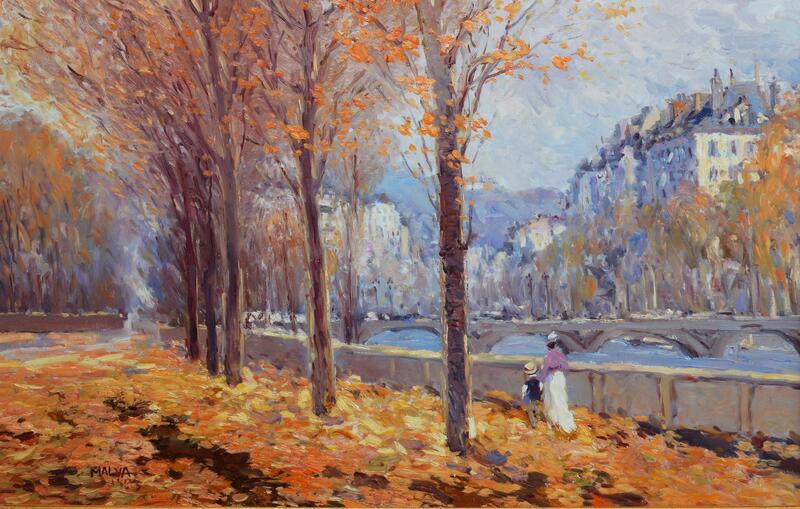 Therefore, he started to give painting lessons after applying successfully to a private school. 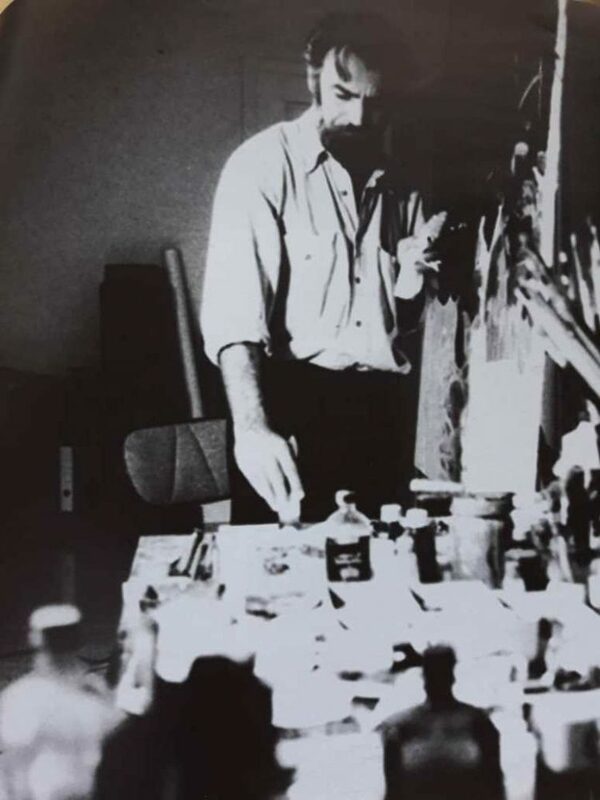 In 1971, he continued painting by buying painting materials with his salary. 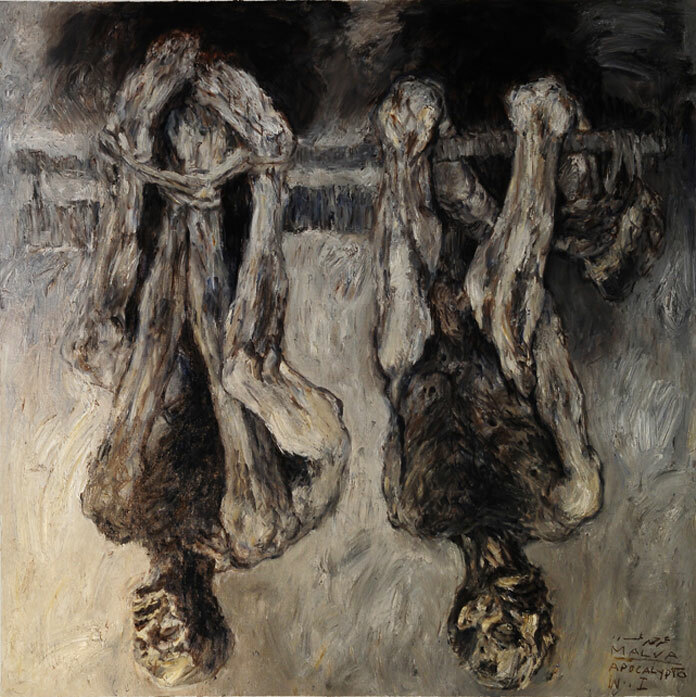 In 1976, he opened his first exhibition in Damascus under the name “Harvest”. Malva, who was able to sell three of his works in the exhibition, angrily burned his paintings and returned to Hesekê. After a while, Malva was put under arms for compulsory military service and there he began to draw for a military magazine called “Pursan”. After two years of military service, he stayed in Damascus and continued to paint for various magazines for 7 years. He met a woman named Cennet (meaning Paradise) and went to Lebanon after living with her for a while. Cennet wrote a letter to Malva years later, and said that she has cancer, she asked for help. Malva sold his only asset, his paintings for her to get treatment. After getting cured, Cennet came back to Syria and here they got married. After a while they went to Lebanon and had a child. Malva, who was doing some art work in Lebanon at the time, went to Vienna in 1978 after receiving an invitation. Merchant: Why don’t you write your name on paintings? Malva: I earn bread with this painting, can’t put a signature on a bread. However, after a while Malva began to use his name in this landscape paintings. He opened an exhibition called “Fukara” in Vienna. 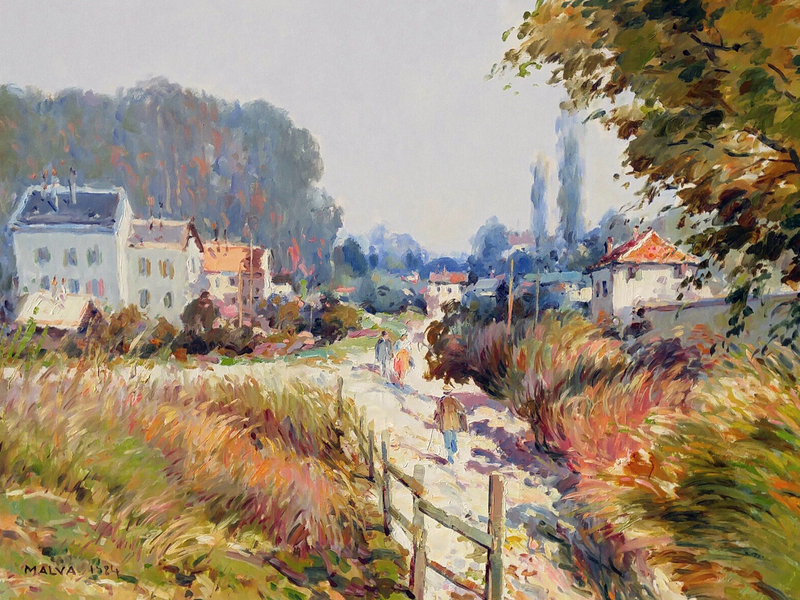 His paintings began to appear in exhibitions. What does the surface of a canvas give us? What does the materiality of a rectangle or a painting tells us before a picture is drawn on it? If we were to observe the paintings of Malva with questions asked by Foucault, we encounter the issue of representation. In Malva’s ‘horror paintings’ there is a painting within a painting, each seemingly divided into two. A horizontal line splits those paintings. These splits remind us that a painting is just a painting. This is a stand against representation. However, the landscape paintings that Malva produced in Vienna are in contrast to this. While male violence and State violence against Kurds in Syria and Turkey can be seen from the lines reflected on the human face and body, the change of this composition is simply turning not only the stories but also his stand against representation upside down. When he was in Rojava, the essence of the paintings he drew was violence and darkness, and he led us to consider the issue of representation with horizontal and vertical splits in these paintings. The painter shifted to the representational art tradition. However, Malva was forced into landscape, or perhaps he used this contradiction as an allegorical narrative in his paintings. Even so, it should be noted that Malva’s life is integrated with his works. 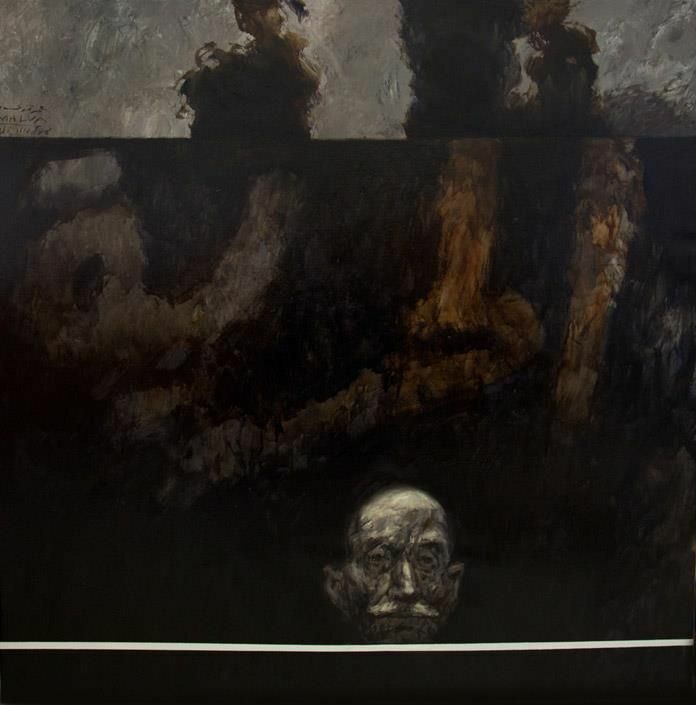 In his life portrait, which is integrated with his paintings, we see and find the violence extending from home to universal, the crisis of representation extending from East to West, but also the stillness and peace which goes hand-in-hand with horror as a part of the unity of duality. Malva went back to Syria after receiving an invitation from the Syrian Ministry of Communication 16 years later. He attended a festival in Latakia. In Syria he wanted to open an exhibition hall, but he was not allowed. He went back to Vienna since he couldn’t find an opportunity to work in Syria. He succumbed to cancer and passed away in Vienna on October 18, 2015. Malva’s portrayal of the theater actress and PKK guerilla Nursen İnce (Sarya), who lost her life in 1997, is one of his well known paintings. Thanks to journalist Berivan Hiso for her help.